Shoulder arthroscopy like knee arthroscopy is an operative procedure wherein the interior shoulder joint is inspected with a 4 mm camera and using one or two similar sized cuts, a variety of surgical procedure can be done. With advances in orthopaedic technology, modern shoulder arthroscopy allows as a patient to get a full, fast and almost painless recovery after surgical procedure. Surgeries that previously required 6 inches long incision, prolonged hospitalization and blood loss can now be managed with small 4mm cuts, day care admission and minimum blood loss. That translates in to a smooth recovery and minimum interference with your daily routine. Do you require a shoulder arthroscopy? Yes you do, if you have any one of the following conditions. Major tears of important shoulder muscles (rotator cuff tears) causing pain, especilaly in the night. Frozen shoulder which has not responded to steroid injections and physiotherapy. Are there any risks or complications that I must be aware of? Swelling over the shoulder accommpanies nearly every surgery. This is because we need to pump in saline in to the joint under high pressure to see it properly and some of the saline gets collected around the joint. This will resolve over a week's time. Stiffness of the shoulder will be experienced by most patients initial 2-3 months after the surgery, especially if a pair has been done. Gradual physiotherapy will help you regain strength in 3-6 months after the surgery. Apart from these, the risks of anaesthesia, infection, bleeding, etc. Are best discussed face-to-face with your treating surgeon. How long does it take to recover fully? For the first 6 weeks after the surgery, your shoulder will be kept immobilized in a sling. Gentle exercises called pendulum exercises are allowed in this time period. After 6 weeks the sling is taken off, and gradual movements and strengthening are begun. Its generally takes you till 3 months after the surgery to get back to normally (the above does not apply for frozen shoulder release, where full recovery is expected in 1-2 weeks time). Shoulder arthroscopy in India is most commonly done for multiple shoulder dislocations. The shoulder is the most mobile joint of the human body and this mobility comes at the cost of poor stability. There is a tissue in the shoulder called the glenoid labrum, which acts like a speed breaker and prevents shoulder dislocations. Once the shoulder dislocates in any directions due to trauma (ususlly the front) this speed breaker is torn. 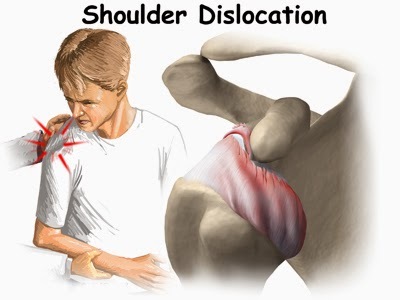 That is the reason that once dislocated, the shoulder keeps on redislocating to the tune of 90%, if the first dislocation is sustained below 30 years of age. The patient lives in a continuous fear of his/her shoulder dislocating all the time. What is done in surgery? When we operate shoulder dislocations, we aim to reattach the torn portion of the labrum back to the bone (glenoid). This can be done with tiny 4mm punctures, using specialized screws called anchors (generally 2-3), which go deep inside the bone and allow us to stitch the torn tissue properly. 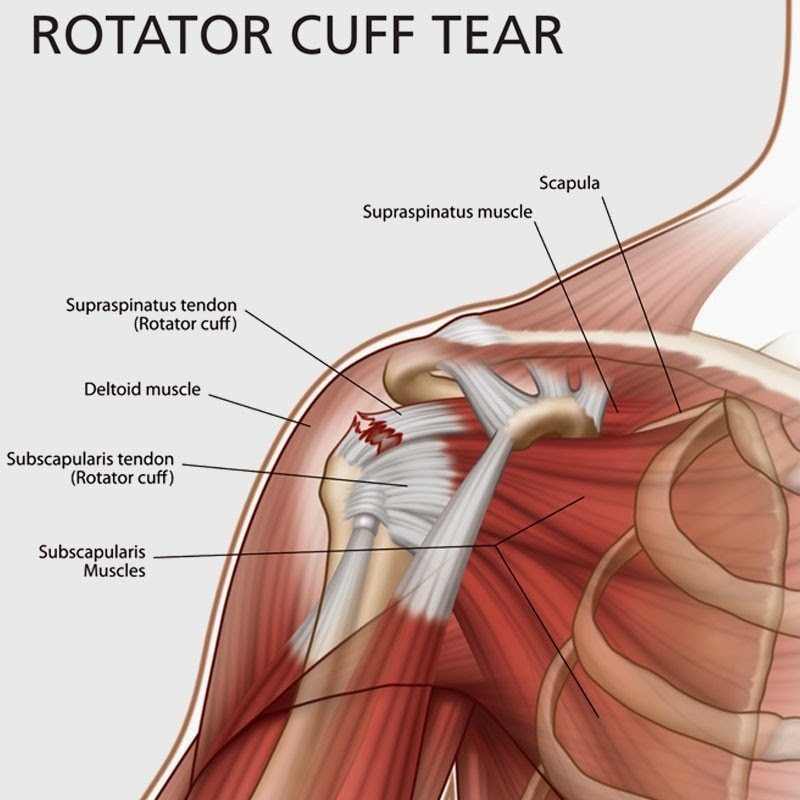 The rotator cuff is the deep muscle of the shoulder. It is responsible for the smooth movements of the shoulder joints. Patients in whom it is torn are suddenly unable to lift their shoulders, or are only able to do so with considerable pain. The arm becomes weak, and in longstanding cases stiffness and arthritis sets in. There is continuous pain especially in the night, while lying down on the affected side. It generally happens in patients who are more than 40 years old, though young people can also sustain it following an injury due to roadside accidents or sports. Surgery for rotator cuff tears involves removing a little bit of bone from the undersurface of the shoulder, to create room for the muscle to move smoothly. Anchors are used (generally 2-4) to reattach the torn muscle back to where it belongs.